As a blogger, you sit on a goldmine . . .
Or you can turn your blog into a goldmine. Not only that, you can transform yourself from blogger to expert author—traditional or indie—FAST! You can “book” your blog content. Repurpose your previously published content into a book manuscript, and then publish it. Or blog a book. Write, publish and promote it by intentionally composing the manuscript post by post and publishing it on your blog. In either case, your blog posts represent your "gold." You can turn them into books, which means you can monetize your blog content. You can use both these techniques over and over again, thereby turning your blog into a book-production machine. Learn to churn out book after book on your blog. And your platform--your subscribers and unique visitors--will help you produce books that become bestsellers. 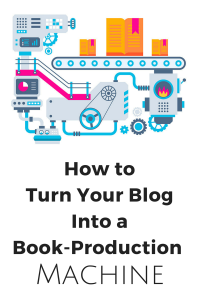 How to Turn Your Blog into a Book Production Machine provides you with all the information you need, including exercises, templates, and worksheets, to help you go from blog to book over and over again. Every book or blog needs a business plan. This helps you craft a marketable book or blog idea--one that will attract an above-average number of readers. Discover how to brainstorm your content for an entire blogged book and schedule it out over time. Additionally, consider how to attract readers to the book with additional content that will appear only in the published version. A successful booked blog requires the same planning as a "normal" book or blogged book. (You can't just slap posts into a manuscript and publish.) Learn how to craft the best booked blog possible, find appropriate posts, and complete the manuscript. If you blog or blog a book, promotion of your posts and site bring in readers. Learn how to promote, prepare your blog for a book (blogged or published), and determine the costs of producing both your blog and book. Whether you blog or blog a book, you need to learn to write for the Internet. And you need to know how to track if your readership is growing. A successful blog--one with many readers--equates to a successfully test-marketed book idea and a platform from which to sell your books. a book or book a blog and how to do so. "How to Blog a Book Template Kit"
These items easily are worth over $200 alone! If you blog to promote your books, build author platform or earn a living, this course is for you. If you are just beginning to blog or you've been blogging for years, you'll discover a new way to put your content to use. Writers who want to write and sell more books (or who aren't getting books written because they are too busy using their blogs to promote and build platform) will find the strategies taught in this course quick and easy ways to produce successful books--ones that sell. Bloggers of all types will discover ways to turn themselves into authors, as well as experts, and to monetize their existing, previously published content. They also will learn how to become more effective and productive as they continue to blog. Register NOW and get this BONUS! This bonus is only available for a short time! Don't miss your chance to claim this complementary course. “Writers often complain that they don't get their books written. “Bloggers write and produce content regularly but don't typically think they can become authors. 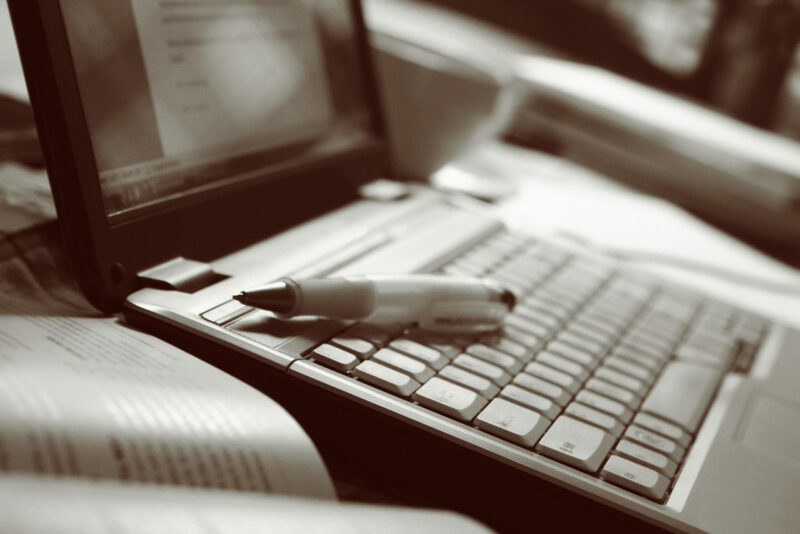 “A blog provides the perfect vehicle to produce book manuscripts--and lots of them. Not only that, a successful blog produces successful books--ones that sell to publishers and to readers. That's why bloggers are in a prime position to become authors. “I'm always looking for ways to help aspiring authors become published authors and for ways to help bloggers to do the same. The strategies and techniques I teach in this course are proven--by me and by other bloggers and authors. "You want to become an author, right? And you want to sell books (which means have your work read), right? "For that, you need a platform of potential readers on the Internet as well as a book manuscript. Produce both at the same time...on your blog. "Or turn your successful blog and its content into a marketable book. "It doesn't matter if you blog a book or book a blog, your blog provides the foundation for successful authorship. "Take action! Use your blog as a book production machine and become a successful author faster than you thought possible. "More people will come online in the next year or two than previously in history. This is the time take full advantage of your blog. Not only that, this is your time to fulfill your dream of authorship." Nina Amir, The Inspiration to Creation Coach and 9X Amazon bestselling author of such books as How to Blog a Book, The Author Training Manual, Authorpreneur, and Blogging Basics for Authors. Don't put off using your blog content to become an author any longer. 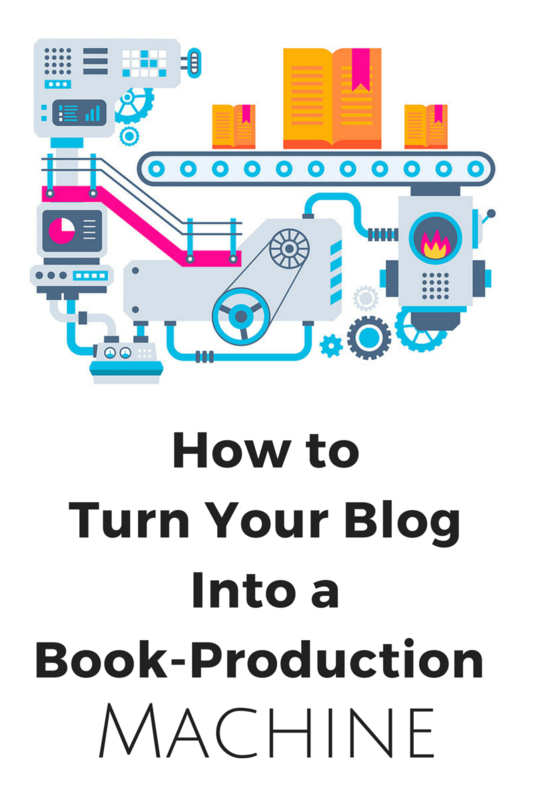 Invest in "How to Turn Your Book Blog Into a Book-Production Machine" right now and receive "Blogging Basics for Authors" at the same time. That's $294 of training for only $197. The course comes with a 30-day guarantee*. (2) consult with you for 30 minutes FREE to help you achieve your blogging goals. as well as to additional material added or updates made to the course.